This is the third distribution to compensate victims of Madoff's Ponzi scheme. This third installment, just before the 10th anniversary of Madoff's arrest, brings the total amount distributed to almost $2 billion, according to the Justice Department. "These funds will be sent to over 27,000 victims across the globe, bringing their total recovery to 56.65 percent,” the Justice Department said in a statement. “This distribution represents the third in a series of payments that will eventually return over $4 billion to victims as compensation for losses they suffered from the collapse of the BLMIS." The Madoff Victims Fund (MVF) has received over 65,000 requests for compensation from victims in 136 countries. (Stephen Chernin/Getty Images) Financier Bernard Madoff arrives at Manhattan Federal court, March 12, 2009, in New York. Madoff was arrested on Dec. 11, 2008, after his family contacted investigators. He had confessed to his sons the night before that the business was a fraud. Law enforcement estimated the size of the fraud to be nearly $65 billion. 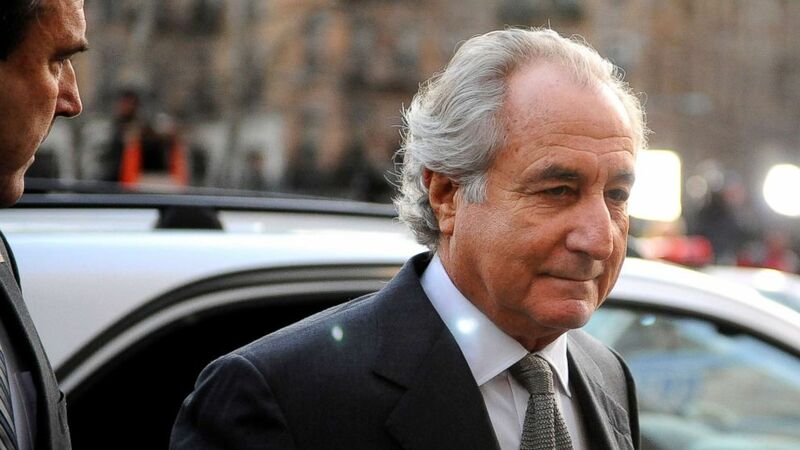 On March 12, 2009, Madoff pleaded guilty to 11 federal felonies, admitting that he used his investment business to benefit himself and his family. On June 29, 2009, Madoff was sentenced to 150 years in prison, and is currently serving his sentence. The Bernard L. Madoff Investment Securities LLC was run as a family business. Exactly two years after his father's arrest, Mark Madoff killed himself. The other son, Andrew Madoff, died of lymphoma in 2014. Bernie Madoff's brother, Peter, was sentenced to 10 years in prison in 2012 after pleading guilty to charges of fraud and conspiracy. Approximately $4 billion will be made available to Madoff’s victims, of which about $2.2 billion was collected as part of a civil forfeiture recovery from the estate of Jeffry Picower, a deceased Madoff investor. A deferred prosecution agreement with JPMorgan Chase bank yielded another $1.7 billion. The remainder was collected through a civil forfeiture against investor Carl Shapiro and his family, and from civil and criminal forfeiture actions against Bernard Madoff, Peter Madoff and their co-conspirators, according to the Justice Department.